Despite the optimism obvious in the speeches of Vice President Biden on Iraq, the outbreak of fighting between the Iraqi army and Kurdish forces in the town of Qara Tappa in Diyala province on Sunday and Monday is a reminder of how divided Iraq remains on the eve of the US withdrawal of combat troops. It is not the first such clash– in early fall of 2008, as well, Iraqi army troops and Kurdish Peshmerga fired at each other in Khaniqin in Diyala. Veteran Kurdish member of parliament Mahmoud Osman warns that Iraq is every day more clearly a failed state. The tensions between Kurds and Arabs in the north, which could lead to yet another Iraqi civil war, so alarmed Gen. Ray Odierno, the outgoing commander of US troops in Iraq, that he told the Associated Press that it might be necessary to bring in UN peacekeeping troops when the US forces are no longer there. (US troops currently jointly patrol with Iraqi army units and with peshmerga, inserting themselves in the middle of the antagonists, with some success). But there are only 77,500 US troops in Iraq now, and there will be no formal combat troops by September 1. Biden’s mission to Iraq over the Fourth of July weekend was intended to accomplish four things. He wanted to reassure Iraqi nationalists that the US is indeed ending its military occupation of the country on schedule. He wanted to reassure US clients in Iraq, such as the Kurds and some pro-American Arabs, that the US is not abandoning the country altogether, but will remain willing to help with its development. He wanted to deliver a strong message to Iraqi political factions that they must form a government soon or risk instability. And, he wanted to work against Iranian hegemony over Iraqi affairs as the US becomes less potent in Baghdad. He should have had a fourth goal, of Arab-Kurdish reconciliation before the US loses its leverage, but that issue appears not to have been central to this trip. Biden wanted to reassure those nationalist Iraqis suspicious of US motives that Washington fully intended to abide by its time line for troop withdrawal– that is, the era of US military occupation of Iraq is drawing to a close. He said, “I hope you know we’ve kept our commitment so far, and on August 31st, we will change our military mission by drawing closer to all of you, not further apart.” There are now only 77,500 US troops in Iraq, the lowest number since the war was launched in 2003, and both Biden and Gen. Ray Odierno are affirming that the number will fall to 50,000 by September 1. That is, an average of a about 2,500 troops will be withdrawn every week until September. (And yes, the civilian contractors supporting the military will come out as well). Biden wanted to reassure the Iraqis, who still lack essential services like electricity and whose infrastructure has been degraded by decades of US/UN sanctions and of war, that Washington is still interested in Iraq. He said, “As you continue to stand up and build your democracy, we’ll be there with you economically, politically, socially, science, education. I’ve been put in charge of our government’s effort to unite all the elements of our government, from the Department of Education to the Department of Commerce to the Department of Science and Technology — to work with you if you want us to.” I’m not sure that this sort of economic and scientific assist is really what the more nervous Iraqis are looking for, but lets face it, there likely won’t be more than a handful of US troops in Iraq as of Jan. 1, 2012, so Biden can’t offer them the US infantry much longer (the air force is a different matter). 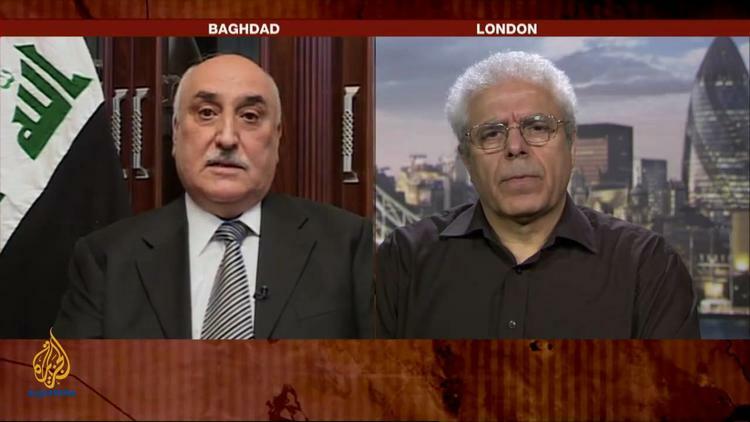 The immediate task facing the Iraqi political class is to form a government. Elections were held March 7, but there still is no new cabinet. The constitution calls for a government to be formed by one month after the first meeting of the new parliament, which will be July 15. Iraqi politicians have been known, however, to operate outside the constitution, so there is no guarantee that deadline will be met. Iraq uses a party list system that allows for several parties to do well. The prime minister will come from the leading party in the largest coalition, one which can get to 163 members of parliament, a majority of the 325 seats. So far there has been gridlock, essentially a hung parliament in which there is no majority. The four leading parties are 1) the Iraqiya list (91 seats) of Iyad Allawi (a secular part with overwheliming Sunni support but also that of some middle class Shiites); 2) the State of Law coalition (89 seats) of incumbent prime minister Nuri al-Maliki, made up of lay Shiite fundamentalists and nationalists; 3) the National Iraqi Alliance (70 seats) of Shiite fundamentalist parties such as the Islamic Supreme Council of Iraq and the Sadr Movement of Muqtada al-Sadr; and 4) the Kurdistan Alliance (43 seats) that unites the Kurdistan Democratic Party and the Patriotic Union of Kurdistan). Several other small Kurdish parties will likely vote with the Kurdistan Alliance. Forming a government would be easy for the Shiite coalitions if Nuri al-Maliki, the incumbent, would step aside. The Sadrists refuse to accept a Maliki second term, and an earlier Iran-backed attempt to make a Shiite grand alliance has all but fallen apart because the State of Law (the core of which is the Da`wa or Islamic Mission Party) will not relinquish al-Maliki. Al-Maliki launched his Charge of the Knights military operation against the Sadrist Mahdi Army in Basra and east Baghdad in spring-summer 2008, for which the Sadrists decline to forgive him. Since the State of Law cannot get to 163 seats with just the Kurdistan Alliance as a partner, al-Maliki only has three possible paths to keeping his office. One would be to find a way to entice the other parties in the National Iraqi Alliance, i.e. Ammar al-Hakim’s Islamic Supreme Council of Iraq and some others, to break with the Sadrists and support him, and to line up all the Kurdish parties behind him. Another would be to form a coalition with the Iraqiya list of Iyad Allawi. Since al-Maliki and Allawi deeply dislike each other, and the Da`wa Party is more Shiite fundamentalist than it is usually represented, this alliance would not be intuitive but rather involves a lot of strange bedfellows and awkward compromises. But it could be done, perhaps, and al-Maliki and Allawi have recently met on the possibility. The problem here, again, is that al-Maliki is seeking a way to remain prime minister, while Iyad Allawi wants that post. Since, however, Allawi does not have the partners in other parties necessary to get to 163, he cannot be prime minister and I think even he and his advisers recognize it by now. There is some talk of making Allawi president, but that plan has two drawbacks. The presidency is, in practical terms, extremely weak and almost irrelevant in today’s Iraq, and Allawi is said not to be interested in being a figurehead. Moreover, the Kurds desperately want to retain the presidency, and they are key to getting to 163. Allawi might have to remain an eminence grise while his party gets some high-powered cabinet posts, such as Defense or Interior, as a bribe for joining al-Maliki. (Since the security forces are dominated by Shiite fundamentalists, how an Iraqiya secular (and possibly Sunni) boss will sit with them is hard to see). Of course, it would be easier to form a government if al-Maliki would step down. But al-Maliki has built up control of key ministries and of important elements in the officer corps, along with southern tribal chiefs, and it would be difficult to simply push him aside, as the Sadrists and some of the Iraqiya leadership would like to do. He does not, however, have infinite time to form his government, and at some point if this process drags out much longer, a move will begin in his own party to dump him, so that the party, at least, can remain in power. I think Washington’s fears of Iranian hegemony in Iraq are overblown. Iraqis are nationalists and while Shiite Iraqis may look favorably on Tehran as a regional ally, they are unlikely to take their marching orders from Iranian Supreme Leader Ali Khamenei or President Mahmoud Ahmadinejad. On the other hand, Iraq is unlikely soon to play the role again that Saddam’s Baath army did, of forming a bulwark against Iranian influence in the Arab world. For that, Washington has itself to thank.